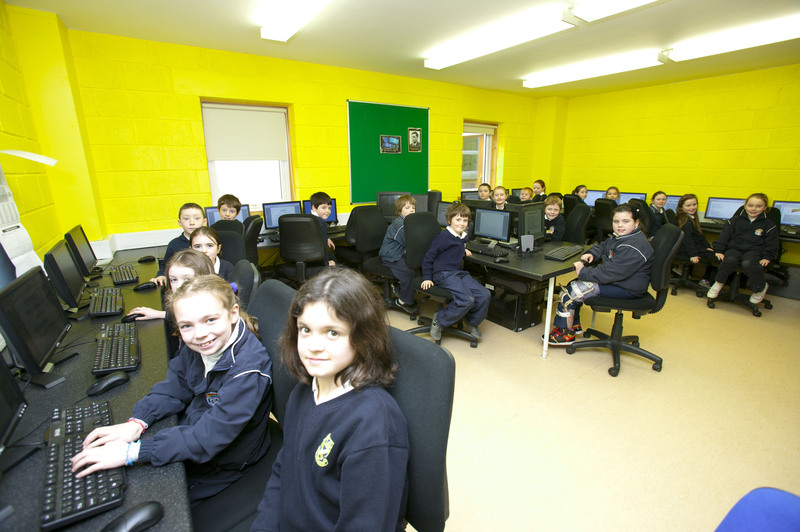 Caherleaheen NS was honoured to receive the Digital Schools of Distinction Award, way back in 2007. In those days we were one of the first to invest in an IT room. How times have changed and advanced at a pace! this was a massive validation of the investment in ICT by the School Staff and Parents over the years. It was also an acknowledgement of the continuous professional development undertaken by the staff to keep abreast of the rapid changes in technology. The Principal, Donal O Connor, said at the time, that he was delighted to receive such a prestigious award on behalf of the school community.The award was presented to the school by, local Entrepreneur, Mr Alan Scroope. Alan was CEO of Freeflow based in the Tralee Technology Park. This is a worldwide organisation that specialises in the marketing of IT equipment and is the brainchild of Tralee man, Alan. In conclusion, Donal added that the whole school community should feel very proud because “This award gives us recognition for the great effort the school has made over the years, promoting ICT and providing children with a valuable tool for modern living”.